Headboards! They can make or break a bedroom, but for a narrow piece of plywood with some fabric stuck on, they sure can be pricey. 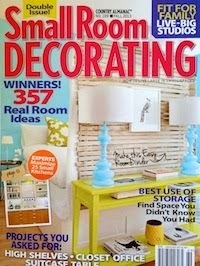 Since I'm an equal opportunity decor shopper, I've been looking around for more inexpensive options. If you want inspiration, just look below. And if you're wishing for style on the cheap, I've provided some great options. You won't believe where I found them! Green is gorgeous! 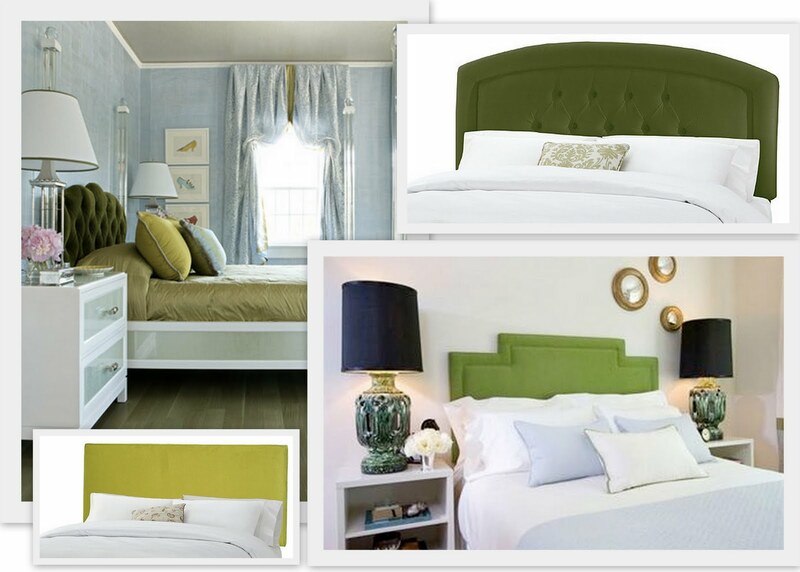 Here are two verdant options for the bedroom, both tufted and not. Upper LH is from Drake Design Associations. Both shopping options are from Wal-Mart (shhh!). A fluke you say? Nope. More to come. 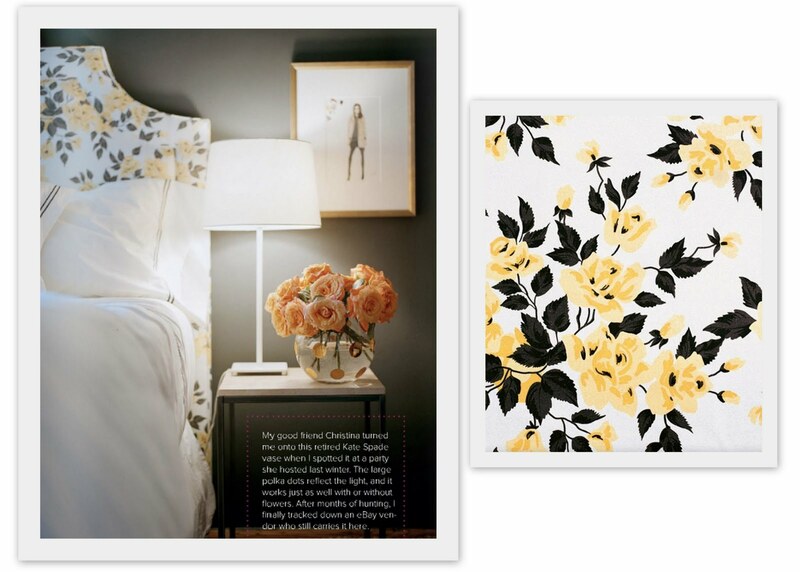 Here's a beautiful floral from the recent Lonny magazine. You can get the look by purchasing the fabric from Rubie Green, and covering it yourself, or creating a headboard slipcover (DIY HERE). Patterns are perfect: LH side is a beatiful bedroom by the talented Meg Braff; headboard fabric is by Quadrille. Bottom is another spread from Lonny Magazine, covered in the fabric from Rubie Green. 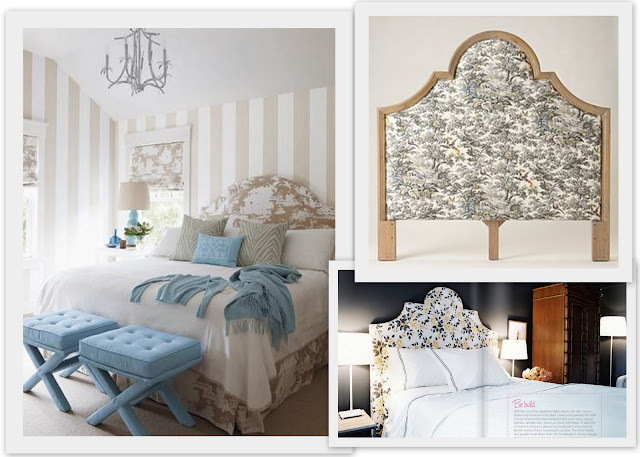 To get the look, you can purchase the Anthropologie toile pattern headboard (top RH), or visit Quadrille for their wonderful fabrics. Spots and dots! 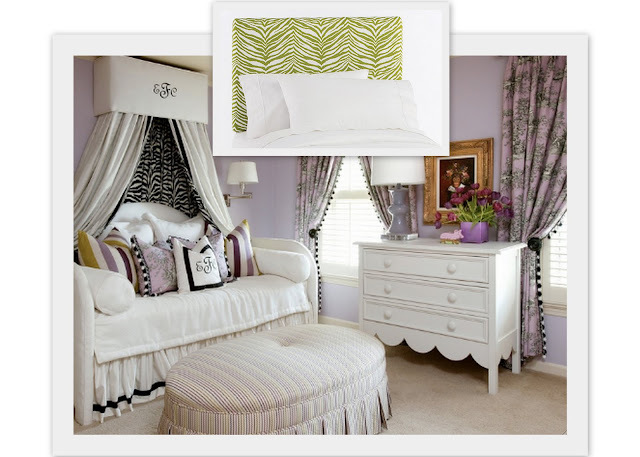 A charming children's bedroom incorporates a subtle pattern. Or try polka dots at home for a cheery look, using this headboard by - you guessed it - Wal-Mart. A little zebra in the bedroom makes the space exciting. Headboard from Wal-Mart; rooms, designers unknown. Tobi Fairley throws a little green in with her zebra; you can too. Headboard by Wal-Mart. I've posted about this room before; it's one of Meg Braff's. 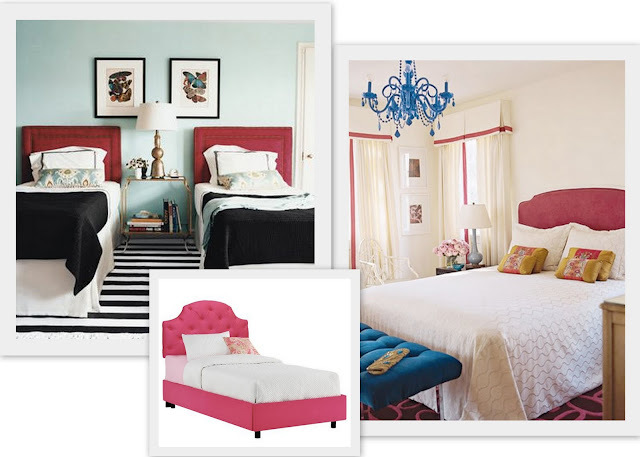 Pink zebra is fabulous (and so is a $120 headboard from Wal-Mart!). Lavender! I'm in love with this room by Amanda Nesbit. 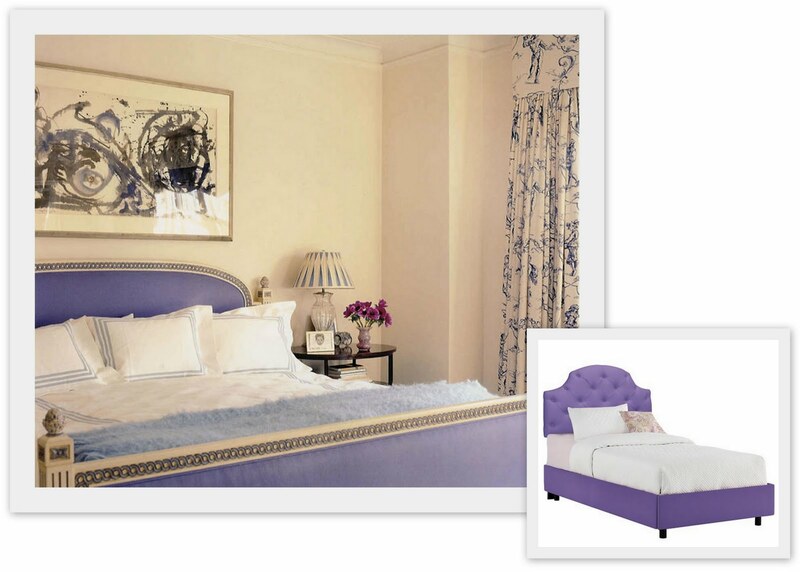 Lavender bed and headboard below, Wal-Mart. 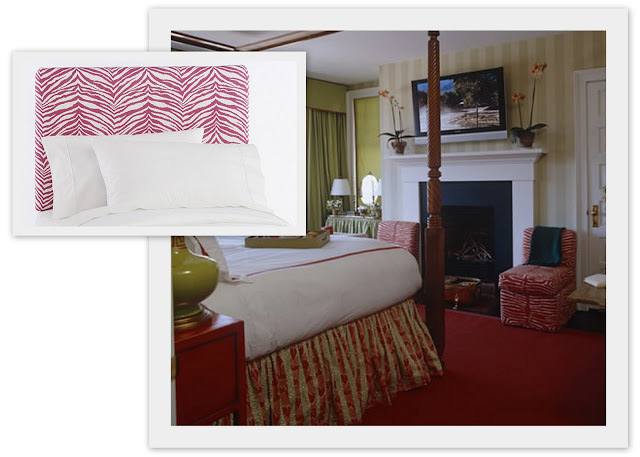 Pretty in pink: here are two great example rooms, both dug up on DecorPad. Headboard by Wal-Mart. If you recognize the designers, please mention their names in comments below! Ballard Designs' black bed stead is a dead ringer for this beauty (image also from DecorPad). Throw in a Thomas Paul pillow and you're set! 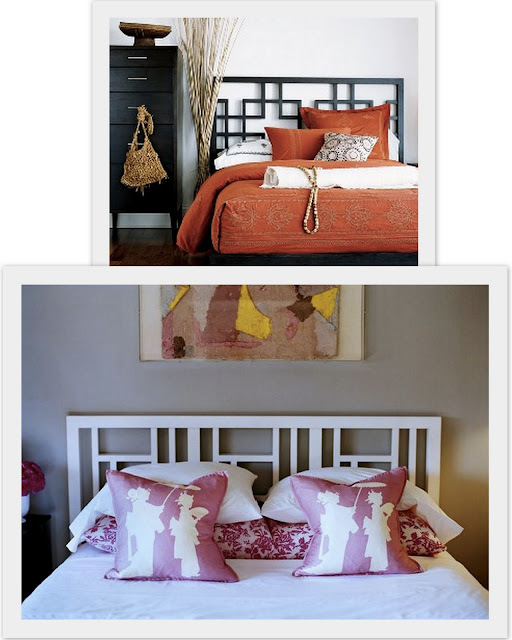 Overlapping squares by West Elm - and as the example (bottom) from Joe Nye proves, they're great with Geisha Pillows! Images and sources, companies and designers as listed above. Some images require attribution; please information in comments below. Fabulous blog. I found you via, High Gloss Blue, so glad that I did. Stop by sometime. Who knew WalMart was so chic? NICE finds! Loving your new layout with the photo border backgrounds! I have never been able to get behind upholstered headboards because of their unwashability. 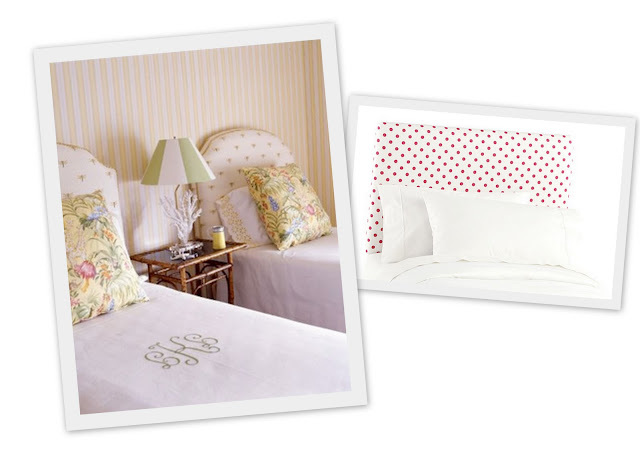 Now, slipcovers for a headboard make complete sense to me--thanks for making me aware they existed! Maybe I CAN have the look without that "yuck--hair oil residue on my unwashable guest bed upholstery" problem. Fabric headboards are working on me now that slipcovers are available so they can be cleaned. I just read your post at Averill's, great list, and Vivre is divine! I love your list of High & Low, my favorite! Wow - walmart eh? Who knew? 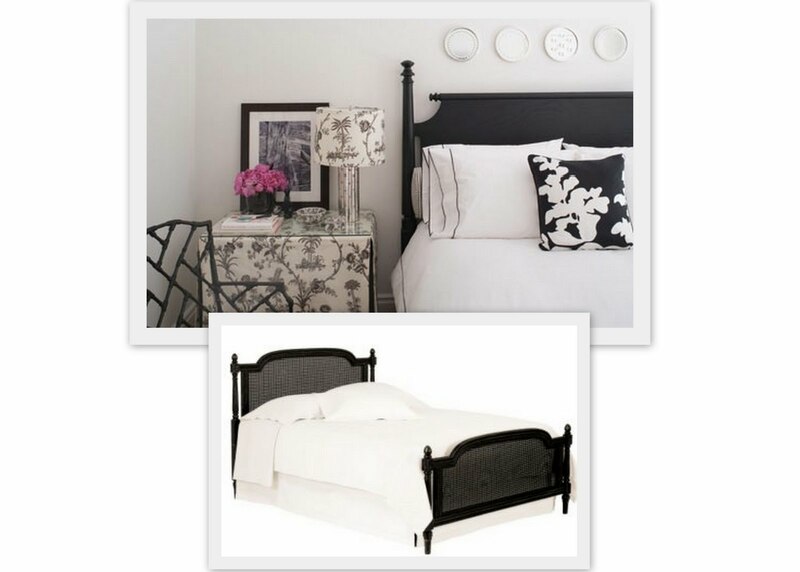 LOVE this post as I am currently in need of not one, but TWO headboards! I know Target has some cool headboards, but I had no idea that Walmart does too! is that a plate wall i spy above that headboard? loooooove it. 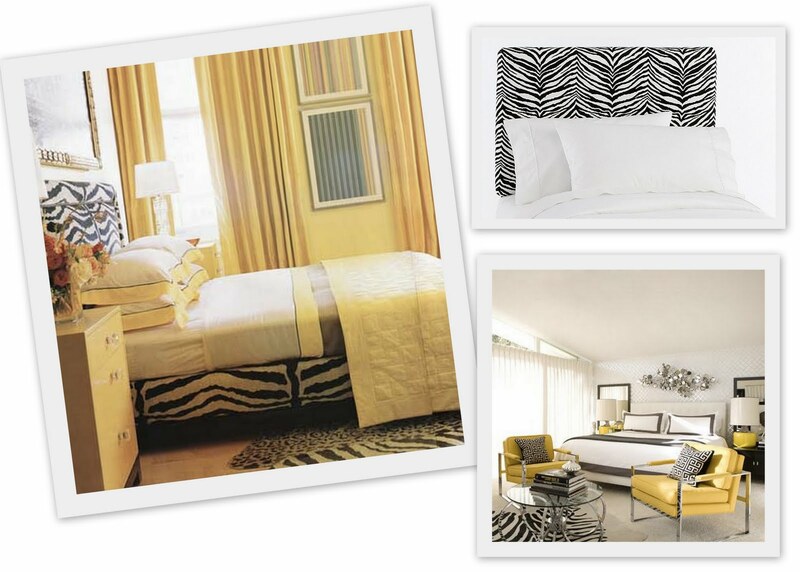 Amazing round up of gorgeous bedrooms and some of my all time favorite fabrics.